The Western Australia Minister for Education and Training, Sue Ellery, has announced the closing of the WA Schools of the Air (SOTA) in 2019, with students transferred to the School of Isolated Distance Education (SIDE). Also six "camp school sites" are to be closed. The minister characterizes the closures of the SOTA as eliminating duplication and the camp school sites as "not the core business of education". While on-line learning can be beneficial, particularly for older students (Worthington, 2017), I suggest the removal of teachers from regional WA and cancellation of face-to-face student activities may have adverse educational outcomes. 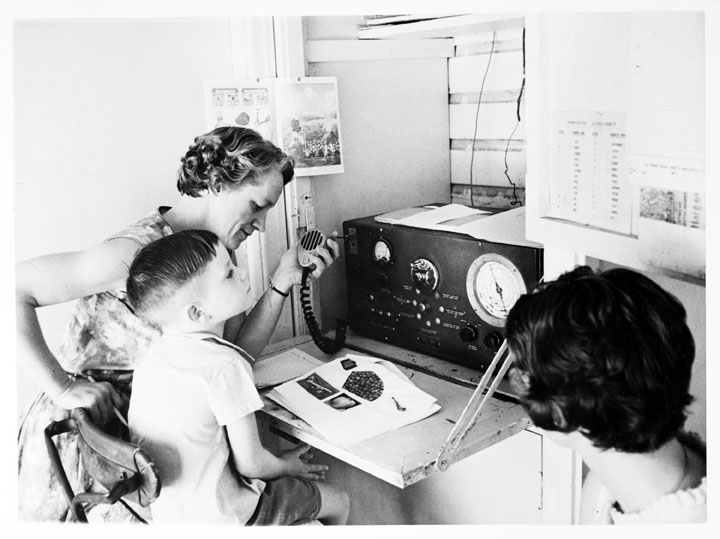 Schools of the air originally provided courses via correspondence and radio. The Internet is now used for distance education (SIDE uses Moodle, developed in WA by Martin Dougiamas), however one unappreciated aspect of remote education are face-to-face camps where students can meet each other in person and meet their teacher. Rivalland, Rohl and Smith (2017) point out that in addition to synchronous electronic communication between the teacher and students, there are home visits by teachers, camps and seminars. Seven "Camp Schools" provide this socialization function for regional WA students: Broome, Bridgetown, Pemberton, Pilbara, Point Peron, Geraldton and Goldfields. The five SOTA, are in regional WA: Port Hedland, Kimberley, Carnarvon, Kalgoorlie and Meekatharra. In contrast SIDE has one location in the capital city, Perth. The closures will result in teachers being 1,500 km from some of their students. While they will be milliseconds away via the Internet, there will be a cultural gap, with the city based teachers having little opportunity to understand the experience of their remote students. The WA Education Department's Institute for Professional Learning is collocated with SIDE, but does not list any courses for distance education teachers, only for classroom teaching. There is a risk in younger students being education purely on-line and not developing social skills. The Minister's assertion that this is not the core business of education is questionable. If that were the case, then the WA Education Department could close down metropolitan Perth school campuses and only provide on-line education. Parents wanting their children to experience group activities and to be looked after during the day would then be required to pay for this a "non-core business". The WA Government's move to rationalize regional school education may be followed in higher education. Australia's Regional Universities Network (RUN) has six members: CQ University, Southern Cross University, Federation University Australia, University of New England, University of Southern Queensland and University of the Sunshine Coast. Each institution has to have its own administration and governance structures. While each grew out of a particular regional area of Australia, they now all offer courses to students across Australia, and in some case, via city based offices. A model for closer cooperation by universities is Open Universities Australia (OUA), a consortium of city based universities: Curtin, Griffith, Macquarie, Monash, RMIT, Swinburne, and South Australia. It is important to note that OUA is "universities" plural. Students can undertake on-line courses at any of the consortium members, but then graduate with a degree from one (not from OUA). The Australian National University is offering my course "ICT Sustainability" (COMP7310) in Semester 1, 2018. Enrollment are now open, so I made a short video to promote the course. This is a little different to the usual university course as it is entirely on-line (students can enroll form anywhere and do not have to be in a degree program), plus there are no examinations. I have added a small section on block-chain and bitcoin to the course, asking students to consider the energy use of this technology. The notes are available free and anyone is welcome to run their own version of the course. Athabasca University (Canada), run the course as Green ICT Strategies: COMP 635.
ps: The video was made using the Kdenlive free open source editor on a low power laptop running Linux. Stock video footage is from Unripe Content. The audio commentary was created with the Text-to-Speech YAKiToMe service. Images are from Wikimedia Commons. Yesterday the Australian Government announced the "HigherEducation Reforms — revised implementation", which has been reported in the media as a "$2.1B cut". This caps funding to universities for bachelor degrees at 2017 levels, reduces the income level at which students have to begin repaying loans, fixes the pool of research funds at the current level and limits postgraduate places. However, this is less than the cuts the government planned (but could not get through the Senate). A larger issue is the proposed 2020 performance requirements, which if based on completion rates, could require universities to discriminate against students from disadvantaged backgrounds who have a lower completion rate. The Australian Government appears to limit its scope of reform to a few cuts and attempt some form of market mechanism (which has been tried and failed in the UK university system). There appears to be no policy initiatives to take into account the changes in the way education is being provided, with the adoption of flipped, workplace and on-line learning, nor that education is now a major Australian export industry. The current approach appears reminiscent of government manufacturing industry policy, which resulted in the collapse of the Australian automotive manufacturing industry. Higher education is undergoing a technological and vocationally driven change world wide. The Australian government is not addressing these changes, or helping Australian universities to adapt. The result may be that the Australian university system is not viable within the next five to ten years. Some campuses will likely be retained as the local shop-fronts of off-shore on-line institutions (such as Torrens University in Adelaide) and a few will survive as research centers. However, we may see the closure of most universities in Australia, when they are no longer viable. The Australian National University (ANU) is looking for a CEO for its new ANU Cyber Institute. This is an initiative of the ANU's College of Engineering and Computer Science (CECS) and the National Security College (NSC). "The ANU has recently announced the establishment of Australia’s first interdisciplinary Cyber Institute, bringing together expertise across a range of areas to deal with the increasingly complex issues in the cyber domain. The Institute will present exciting new opportunities for research, innovation and education. The Chief Executive Officer (CEO) is the Institute’s Head, operating under the broad direction of the Institute Advisory Board. The CEO will be responsible for driving the strategic vision and operational plan for the Institute, working closely with executives and stakeholders across the University, industry and government, to create a globally pre-eminent Institute focused on addressing Australian and global cyber needs." From: Chief Executive Officer - ANU Cyber Institute, Reference 10646, KPMG, November 2017. ANU students get a preview of some cyber issues in the Networked Information Systems course (COMP2410/COMP6340), where I run them through a Cyberwar Hypothetical Over the South China Sea. This includes the example of a fake day care center website, apparently targeting Australian intelligence staff in Canberra. Photo by Stuart Hay, ANU. On Tuesday Kate Lundy was awarded an Honorary Doctor of Letters (HonLittD) by the Australian National University in Canberra for her "contribution to advocacy and policy for information, communications and technology". 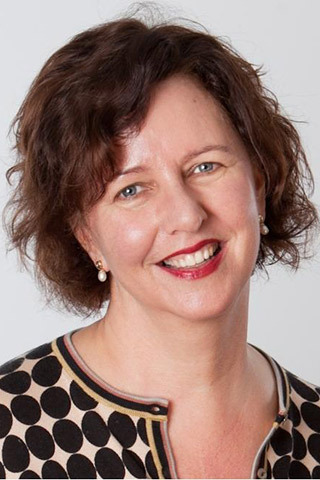 Kate is currently the ACT Defence Industry Advocate, and was a Senator from 1996 to 2015. She held the posts of Australia's Minister for Multicultural Affairs and Minister for Sport. In 1995 I interviewed Kate over lunch in Canberra, when she was president of the ACT Trades & Labor Council. We found a common interest in computers for a social purpose. Shortly afterward Kate was elected to the Senate and took a close interest in computers and the Internet for economic development and improving lives, during her term as a Senator and after. "Information and how it is communicated are major determinants of power in our society. Many people have little restriction on their ability to convey their views, but there are also many disadvantaged members of our community who, through circumstances beyond their control, find it very difficult to have their voice heard. Therefore, there is a need to ensure that all groups in our society have the public means and the opportunity to form their views without media bias and to be able to express them freely. The importance of public policy relating to the use and control of credible information sources and its increasingly complex delivery technologies cannot be underestimated if we are serious about equitable and affordable access. By the year 2000 the information sector will be the world's second largest industry. Those nations that develop the infrastructure necessary for this industry to flourish are the nations that will prosper into the next millennium. Infrastructure is not just cable and microwave dishes; it is an education and training system which can increase people's skills in developing software and creating useful content. Already in Australia information and information related activities employ more than 40 per cent of the work force and generate 36 per cent of gross domestic product, and this can only improve. High quality communications, widespread computer usage and literacy, and a willingness to use modern engineering technologies will be essential ingredients in our economic wellbeing. However, I am not yet convinced that we have sufficiently analysed and discussed the societal and community effects of this shift in our economic base. For example, although the need to take this technology to rural Australia is well recognised, have we explored the long-term impact on the economies of country towns? The geography of Australia provides special challenges in terms of access to information infrastructure; challenges that can be met only in a policy framework with priorities of equal access, universal service and that which puts the needs of Australians—both suppliers and consumers—first. The best way of ensuring this is through public ownership." From Senator LUNDY, Hansard, Australian Parliament, 6.05 p.m., 7 May 1996.
in a hot air balloon over Canberra. 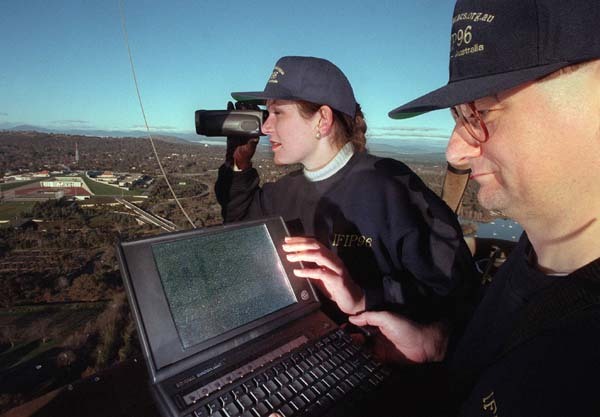 In 1996 we took to the air in a Hot Air Balloon Over Canberra, to send photos "Live" on the Internet, promoting a computer conference. "Although there are certainly many formal mechanisms for participation in Australian Government processes, we thought it would be a great idea to create an online public sphere and facilitate regular topics of interest to both the general public and to the government. This way people from all around Australia can participate online. We will be experimenting with different technologies to get the recipe right for this kind of engagement, and any thoughts on this are very welcome. Each Public Sphere topic will run for several weeks. There will also be a Public Sphere workshop per topic which will give a physical place for people to speak about their ideas in short concise talks coupled with rigourous discussion. All talks are streamed online for general public access. Feedback and questions will happen live over Twitter both from the participants in the room and from remote participants." From: Public Sphere, Kate Lundy, 2009. Dr Danny Kingsley, Head of Scholarly Communication at Cambridge University Library has concluded that the UK's policy for free and open access to publicly-funded research has failed: "Manipulation of embargo periods, confusing information, and a graduated charging system for different licenses all work towards ensuring a second income stream. Far from moving to an open access future we seem to be trapped in a worse situation than we started." (Kingsley, 2017). I was intrigued by Danny's inclusion of "scheduled tweets" to accompany the presentation. To answer the question at the end of the presentation "How do we get out of this mess? ", I suggest a modestly funded initiative to encourage new Open Access publishers. This could use the start-up infrastructure already established around universities, such as Cambridge. Academic staff and students could be trained and funded to set up new companies to provide OA publishing in competition with existing closed-access ones. These new companies would aim to be profitable, in the long term, while providing publications without a fee to the subscriber. The main question to be answered by any such start-up would not be publishing infrastructure (which there is plenty of free-open-access software for), or revenue streams (which are feasible), but what incentives could be provided to induce academics to choose a new, unproven publisher. Sydney Startup Hub: Model for the University of the Future? "Transport House is one of the most intact Art Deco buildings in Sydney, and one of the earliest fully resolved Art Deco expressions in CBD (along with ACA at King and York Streets). It is an important building by prominent firm of H. E. Budden and Mackay, and was awarded a Sulman Medal in 1935 and Royal Institute of British Architects Medal in 1939. Substantial important intact office interiors survive. The building is rare for its scale and extensive use of green terracotta facing, considered the most impressive in Sydney. It is a major element in the townscape of Wynyard Square precinct." From Former Railway House (Part of Transport House), NSW Office of Environment and Heritage. The new interior design is by the same architects of the WeWork co-working space at Pyrmont in Sydney. From a brief visit, this I thought was a little cluttered with too much industrial ornamentation, but still usable. It is a shame perhaps, the designers did not go for some 30s details with the Sydney Startup Hub: perhaps a comic book transport motif? The design of such start-up hubs is of interest for more than budding entrepreneurs, as the same design is now being used for universities and businesses. With this approach there are a few dedicated offices and some meeting rooms. Most of the space is given over to open plan shared working areas with offices, with movable furniture and combined recreation presentation rooms with kitchens. Some may lament the loss of individual offices and dedicated presentation rooms, but few would be willing to pay the cost of these, either in terms of dollars per square metre, or loss of flexibility. 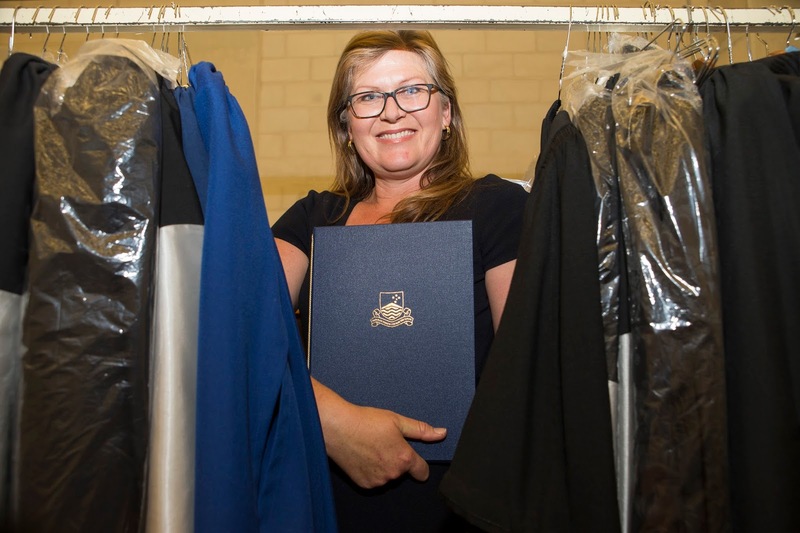 Bree Trevena from University of Melbourne wrote recently about Australian universities becoming more integrated with the community by locating facilities in the city and providing services on campus for the community. One driver for this Trevena did not mention was review. Start-up co-working spaces charge for desk-space by the day, week, month or year. It will be interesting to see if universities adopt the same approach. Companies are reducing the allocation of permanent offices and desks for staff, preferring staff to be out on site with customers. The same could be applied to students, who should not be sitting around at the university, but out in the community, in the field, or at work, learning. This would be particularly applicable for graduate students, where Australia needs to produce more Masters and Doctoral students with practical professional skills for industry and fewer research academics. Mewburn, Suominen and Grant (2017) report on research which used Artificial Intelligence to read job ads and look for those requiring high level research skills. They conclude there is a hidden job market for PhD graduates in Australia. However, the authors' assumption that these skills are indicative of a PhD is flawed. Australia has two forms of Doctoral Degree: Research and Professional. The former is commonly referred to as a PhD, the latter as a "Doctor of discipline". Both forms of doctorate require research skills, but the latter is intended for more practical application outside universities and research organizations. It is likely that almost all the hidden job demand the report found suits professional doctorates, not PhDs. In addition, for most jobs a Masters, not Doctorate, would be sufficient. A more refined version of the AI might be able to distinguish between real PhD jobs in university and research organizations, those in industry requiring Professional Doctoral level skills and those where a Masters would be sufficient, but this would be difficult. patterns regarding demand for research skills, particularly in industries traditionally assumed to have low demand for PhD graduates, such as manufacturing, transport, logistics, marketing and communication. In addition, other industry sectors were shown as potentially ready to embrace more graduates with research skills, echoing the thinking of the innovation agenda." Last Monday I attended "Work Integrated Learning - a disciplined approach" at University of Canberra. This was based on a recent paper by Ruge and McCormack (2017) on constructive alignment of the assessment for a course at University of Canberra. Two recent case studies in EduCause point to the need for new classroom designs, plus course design and the training of staff in how to do this (Morrone, Flaming, Birdwell, Russell, Roman & Jesse, 2017). Universities are building new flexible learning classrooms (such as in the new teaching building at ANU). These typically have a flat floor, and tables for small student groups, with display screens on all walls. However, to effectively use these spaces course redesign and teaching staff training is required. There is no point in moving out of lecture theaters if the "lecturer" gives hour long non-interactive monologues in the new "flexible" room. There is no point in putting the students in groups and link them with tech, if the primary assessment is an end of semester individual paper based examination. The "lecturer" needs to be trained how to teach without lecturing and the assessment redesigned to use group and project based work. New classrooms can then be used effectively and the learning aligned to vocational requirements beyond the classroom. For more on this, see my free e-book "Digital Teaching"
Dr Herb Lin, Senior Research Scholar, Stanford University, is speaking on "Cyber-enabled information warfare and the end of the Enlightenment" at the Australian National University in Canberra. He argues that Information Warfare and Influence Operations (IWIO) is a hostile act, but not "warfare" under the UN Charter and laws of war. I agree that using the Internet to influence an enemy is just an extension of previous analog information techniques, but I am not sure those being targeted would not see it as warfare. I suggest that if IWIO has a damaging effect on a nation, that nation will respond accordingly. If the attacked nation has a IWIO capability, then they may use that to respond, but reciprocity doesn't require that. Conventional military forces could be used to respond to IWIO, despite the problem that this may play into the information agenda of the attacker. For this reason a nation may use a covert kinetic military response to IWIO. Dr Lin discussed ways to disarm a information warfare attack, by carefully identifying the attacker and their motives, as well as debunking false claims made. However, this task may be made more difficult, I suggest, by the nation's own politicians and organizations using the same IW techniques for political campaigning and marketing. Dr Lin asserted cyber warfare is not a threat to civilization. I don't agree. Conventional and nuclear weapons can only kill people, but cyber war can kill an idea. Dr Lin used the example of the Russian Government allegedly funding both "black lives matter" and "while lives matter" campaigns in social media in the USA, to spread discontent. These he characterized as chaos-producing operations. While such attacks existed before the Internet, they can now be carried out much easier on-line. As an example, the technique of fuzzing with AI (Rajpal, Blum & Singh, 2017) might be applied to IW. With fuzzing is used to test the security of computer systems by generating a large number of sets of test data. AI can be used to see which sets are most effective for breaking into a system. The same could be (and may already be) applied to IW: the attacker would generate a large number of variations on a message, such as "black lives matter" and AI would be used to refine the versions of the message which are most effective at creating discontent. On-line marketers already use similar techniques to measure the effectiveness of advertising, by sending slightly different advertisements to individual consumers. However the use of AI could speed up the process. It may that social media is itself is a form of inadvertent IW attack, with a reports linking social media use and depression in teenagers. "The truth is usually just an excuse for lack of imagination ...". From "The Wire", script by Robert Hewitt Wolfe, Episode 2x22, Production number: 40512-442, First aired: 8 May 1994). Start Trek presented an idealized image of a united world where a western (mostly US) world view had prevailed. This form of soft-power perhaps should not be underestimated. Dr Lin's "On Cyber-Enabled Information/Influence Warfare and Manipulation" with Jackie Kerr is to be published in the Oxford Handbook of Cybersecurity (2018). "The West has no peer competitors in conventional military power. But its adversaries are increasingly turning to asymmetric methods for engaging in conflict. In this public seminar, Dr Herb Lin will address cyber-enabled information warfare (CEIW) as a form of conflict or confrontation to which the Western democracies are particularly vulnerable. CEIW applies the features of modern information and communications technology to age-old techniques of propaganda, deception, and chaos production to confuse, mislead, and perhaps to influence the choices and decisions that the adversary makes. A recent example of CEIW can be seen in the Russian hacks on the US presidential election in 2016. CEIW is a hostile activity, or at least an activity that is conducted between two parties whose interests are not well-aligned, but it does not constitute warfare in the sense that international law or domestic institutions construe it. Some approaches to counter CEIW show some promise of having some modest but valuable defensive effect. If better solutions for countering CEIW waged against free and democratic societies are not forthcoming, societal discourse will no longer be grounded in reason and objective reality – an outcome that can fairly be called the end of the Enlightenment." Greetings from the National Convention Center in Canberra, where the Catholic Schools are holding an Action Research Showcase. The keynote speaker is Jane Hunter from UTS, with some "provocations". Her first provocation was to describe how she was taken to hospital in an ambulance and how her recovery depended on highly trained medical personnel. Jane explained we have a shortage of students studying STEM in schools, resulting in a shortage of medical and other professionals. The audience at the conference is predominately from primary schools. You might ask what a university lecturer is doing at a schools event, but one conclusion from looking at education is that the same general principles apply at all levels. Jane cautioned about the Global Education 'Reform' Movement (GERM), pushing for reforms to Australian education based on countries very different to Australia. Dr Hunter then went on to talk about research on "High Possibility Classrooms" (HPC) and pointed to resources for it. This is a form of student centered learning, with projects and experiments. This would fit well with a change university teaching, where students are encouraged to do things, rather than listen to lectures. Dr. Hunter pointed out that many schools are not equipped for this approach, with small classrooms and old equipment. This is also an issue for universities. Old cramped lecture theaters with fixed furniture are not suitable for students working in groups. Dr. Hunter proposed getting rid of the Australian Tertiary Admission Rank (ATAR) and the NSW Higher School Certificate (HSC). She urged teachers to engage with AI to support teaching, or teaching will be dominated by the FANG companies (Facebook, Amazon, Netflix and Google).